Nancy Griffith, originally scheduled for tonight, has been cancelled. Please see the box office for refunds. 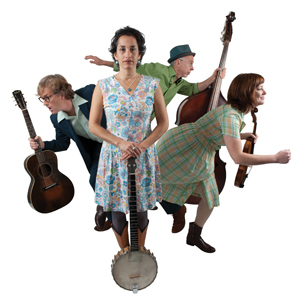 Evie Ladin curates The Lady Banjo Show - a dynamic concert of traditional and original music led by three ladies who are not only extremely skilled banjo players, but use the instrument for their own devices in new music. 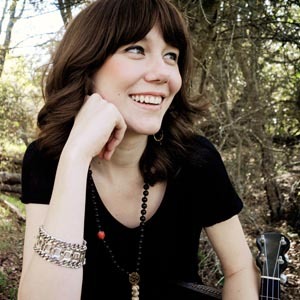 Molly Tuttle is one of the rising stars of the acoustic music scene. As a singer, songwriter, guitarist and banjo player, she has astonished audiences across the country for both her musicality and virtuosity. As Boston-based music blog Write to the Beat said of a recent show, “Berklee School of Music student Molly Tuttle, blew away the unsuspecting crowd with her rapid fire bluegrass guitar work that would put even the most talented shredders to shame. It was a marvel to see such incredible technical skill combined with a sweet voice and fun, barn-storming songwriting. She reminded me a bit of Nickel Creek, if all three members were transformed into a single bluegrass superhero." For this special Freight & Salvage show, Molly sets aside her guitar and demonstrates her prowess on banjo, combining old-time, bluegrass and her unique approach on some original material. Molly's father, Jack and brother Sullivan Tuttle will accompany her. Barreling full-steam out of trad Old-Time into the urban environs of Oakland, CA, with side trips into a global percussive dance scene, Evie Ladin brings deep roots to collaboration with the BAND. Tenacious, innovative string musicians/dancers with a quirky neo-trad soul, the ELB throws down a new folk music with an unusually creative and surprising live show. The polyrhythmic heat of Evie's clawhammer banjo, resonant voice, real stories and rhythmic dance have been heard from A Prairie Home Companion to Celtic Connections, Lincoln Center to Hardly Strictly Bluegrass. Known as a driving force behind San Francisco's Stairwell Sisters, Evie has two solo releases, the 2010 Float Downstream and 2012 Evie Ladin Band. With Keith Terry (bass, Body Music, vocals), renowned percussionist/rhythm dancer, and the founder of the International Body Music Festival; and Erik Pearson (guitar, banjo, vocals), a musician's musician with the Crooked Jades, storyteller Diane Ferlatte, and his solo projects. 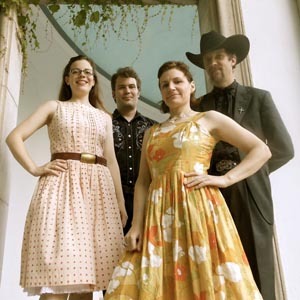 Inspired by the energy of old-time dance tunes, Hank Williams country, cajun, and western swing, The Vivants play their own brand of American roots music, shining up dusty melodies with modern arrangements. Emily Bonn developed her original banjo driven songs from frailing in San Francisco subway stations, coastal honky tonks and Belgian prisons. As a former member of the critically acclaimed San Franscisco band, The Whoreshoes, she shared stages with the legendary rockabilly singer, Wanda Jackson, Old Crow Medicine Show and Devil Makes Three. The Vivants are currently working on their debut full length album due out Summer 2013. The Vivants include Emily Bonn on lead vocals, guitar, banjo and ukulele, Jody Richardson on fiddle, foot percussion and vocal harmonies, James Touzel on upright bass and clarinet, and Isaac Bonnell on piano accordion.